Obituary for Donald D. Trevelino | Devlin-Rosmos-Kepp F.H. & C. S.
Donald D. Trevelino, 85, husband of the late Concetta Madeline (Buonnono) Trevelino of Atlanta, GA, died on Sunday, January 27, 2019. 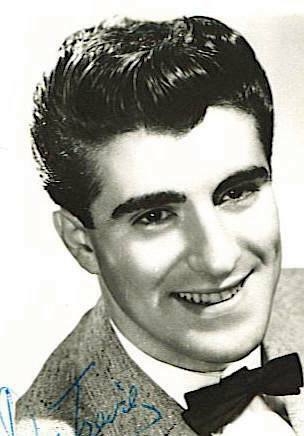 Born on August 19, 1933 in Philadelphia, PA, he was the son of the late Joseph and Carmelina (DiLiberato) Trevelino. He was an accomplished and recorded singer, an award-winning Graphics Designer for Don Trevi Design, a technical illustrator for General Electric Space Division, a self-taught fine artist, a college teacher, as well as a U.S. Army Vet. Surviving are 4 sons, Donald Jr. (wife Lisa) , Daniel, David (wife Linda), and Dean (wife Amanda) Trevelino. 7 Grandchildren - Andrea, Alisa, Vincent, Kelli, Andrew, Lex and Madeline. 8 Great-grandchildren - Emma, Riley, Justin, Jr., Colby, Michael, Brayden, Declan and Johnathan. A viewing will be held Saturday in St. Basil the Great Catholic Church from 8:30 to 10:15 am. Relatives and friends are invited to attend his Funeral Mass in St. Basil the Great Catholic Church, 2300 Kimberton Road, Kimberton, PA on Saturday, February 2, 2019 at 10:30 am. Burial will follow in St. Ann Cemetery in Phoenixville.